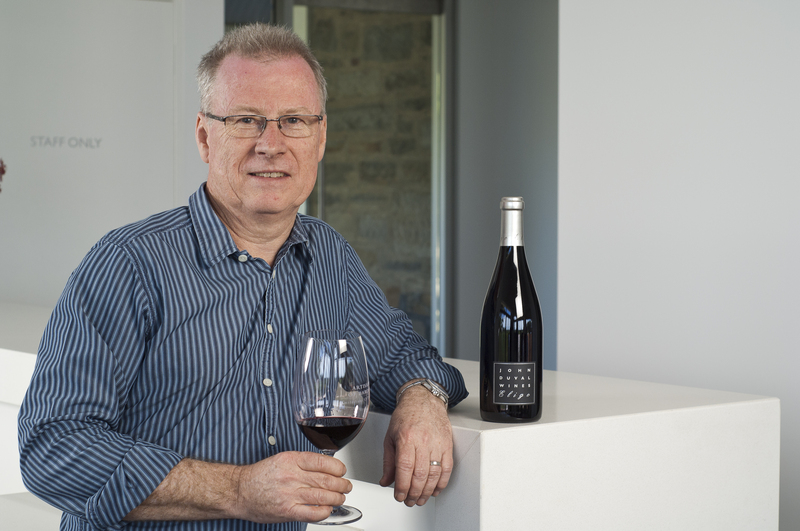 John Duval has a long history with fine wine. Appointed Chief Winemaker of Penfolds in 1986, John was responsible for the winemaking of Penfolds Grange and secured a number of prestigious awards for the company. These awards include Winemaker of the Year at the International Wine and Spirit Competition in London – 1989, Red Winemaker of the Year at the International Wine Challenge in London in 1991 and again in 2000; and seeing the 1990 Penfolds Grange named Wine of the Year by the prestigious US magazine, Wine Spectator in 1995. While John’s International winery partnerships see him travelling throughout the year, he insists on securing 4 uninterrupted months at home during vintage to make his own wines. Happily, this coincides every two years with the Barossa Wine Auction. A must-do event for every fine wine lover! 1 – LOT 7S PETER LEHMANN WIGAN RIESLING (PRE-RELEASE VERTICAL: 12 BOTTLES, WITH 2 BOTTLES EACH OF 2013-2018). Named after the recently retired and long serving Chief Winemaker Andrew Wigan, an exceptional winemaker passionate about Eden Valley Riesling. The Wigan has won so many awards that I am sure they have lost count, and when you taste these wines you will know why. Normally aged for 4 or 5 years before release, this is your chance to see the different stages of development. 2 – LOT 98W YALUMBA GRENACHE EXPERIENCE FOR 6 PEOPLE (JOIN A YALUMBA WINEMAKER FOR A TOUR OF SOME EXCEPTIONALLY OLD GRENACHE VINEYARDS. TASTE IN THE VINEYARDS AND RETURN TO THE WINERY FOR LUNCH AND TAKE HOME 3 MAGNUMS OF SPECIAL BOTTLINGS FROM THE VINEYARDS VISITED). Grenache is very much in the headlines at present, with the publicity surrounding major Trophy wins, including the Jimmy Watson Trophy for the first time. The Barossa has some of the oldest Grenache vines in the world, and this experience will tour some of these amazing old vineyards. Imagine tasting the wine made from the 100 year old + vineyard you are standing in. And being able to take home special bottling Magnums. Old vineyards and good winemaking is a very successful combination, and Turkey Flat has both. With some of the oldest Shiraz in the Barossa ( 1847 plantings) and 100 year old Grenache, these vineyard resources are gold. Their elegant, modern Barossa wine style has been justifiably rewarded with numerous awards, including the Jimmy Watson Trophy for the 2016 Grenache. 4 – LOT 83W SONS OF EDEN REMUS OLD VINE SHIRAZ (2014 EDEN VALLEY SHIRAZ 6 LITRE IMPERIAL). If you like to share excellent Barossa Shiraz, this 6 litre bottle fits the bill for a great dinner party. Sourced from the cooler Eden Valley it is concentrated, fleshy and well structured and will certainly give you time to plan that dinner party. The Sons of Eden team of Corey Ryan and Simon Cowan are making great Barossa wine. And if you are feeling extra thirsty the 6 Litre Romulus Shiraz is just as good. 5 – LOT 61W PENFOLDS BLOCK 42 KALIMNA CABERNET SAUVIGNON; 2004 MAGNUM. Block 42 is one of the oldest Cabernet vineyards in the world and is historically important to Penfolds winemaking. The first vintage of Penfolds Bin 707 Cabernet was from Block 42 and the very rare 1953 Grange Cabernet used grapes from Block 42. During my time at Penfolds we bottled the 1996 vintage of Block 42 as it was an exceptional cabernet vintage, and I still remember tasting the 2004 as a young wine, before it was bottled ….. absolutely stunning! Penfolds refers to the 2004 Block 42 as a modern classic.